Originally with only records of Cotula alpina to inform management of this invasive alien in W Ross. Literature records from Yorkshire are included (Robinson, L. http://www.bsbi.org.uk/Cotula_alpina_in_VC65.pdf). Dec 2017 all invasive alien plants were added, and these removed from the Vascular Plants dataset. The data set was uploaded to NBN Atlas. Data do not have comprehensive geographic or taxonomic coverage. HBRG endeavours to achieve maximum accuracy in our data. Any errors of which we are aware are listed with corrections in the file www.hbrg.org.uk/Dataset/Errors_HBRG_NBN_Atlas_datasets.xlsx. 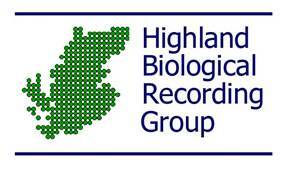 Click to view records for the HBRG Invasive Non-native Plants Dataset resource.